I can source a classic white frame which perfectly compliments your collage picture. 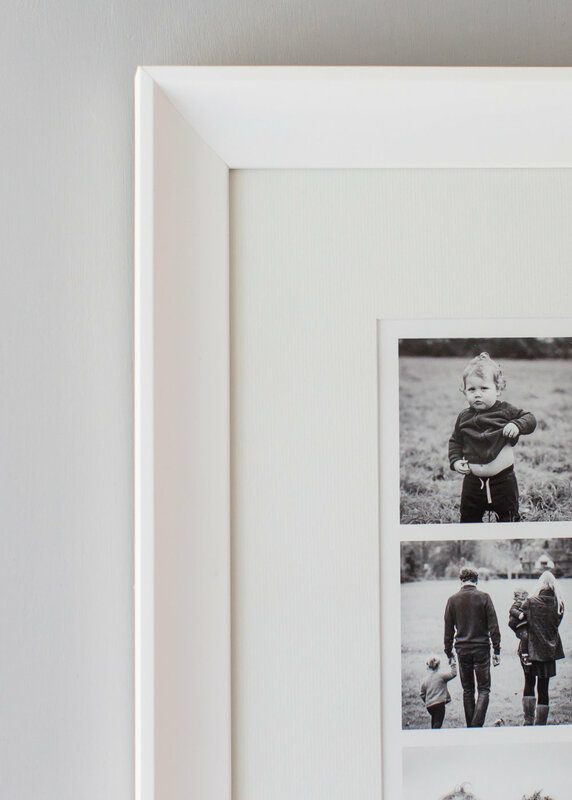 There are two framing options both in smooth white as this colour lets the picture visually breath and looks fantastic in any setting. You can choose between slim frame or the wide scoop frame. The cheapest and safest option is for pick up from me in Bristol at a time that suits you. You can have it packed up and sent to you for £20. (my framer will pack the picture up as safely as they can but sending a picture with glass is always a slightly risky business).